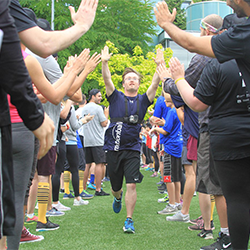 The 2016 motionball Marathon of Sport Vancouver was our largest Vancouver fundraiser to date with 22 Teams of young professionals raising a record-breaking $82,000 net in support of the Special Olympics Canada Foundation! 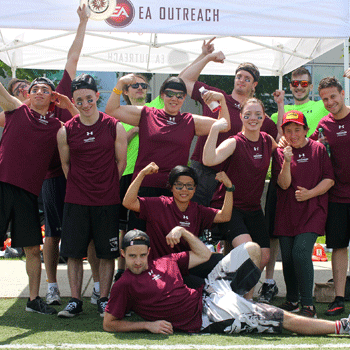 Participants enjoyed a fun day of athletic competition as they teamed up alongside local Special Olympics athletes and competed in a variety of sports & activities including beach volleyball, european handball, ultimate, bocce, soccer, Special Olympics Functional Testing, BUMP, benchball and an obstacle course. To pre-register a Team for the 2017 motionball Marathon of Sport Vancouver, please email Marsha at marsha@motionball.com. The playing field isn’t the only place where athletes competed. 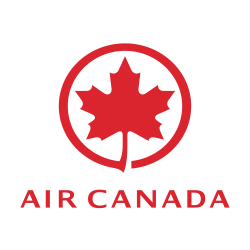 Each team of 10 participants raised a minimum of $2,500 ($250 per person) through pledges. 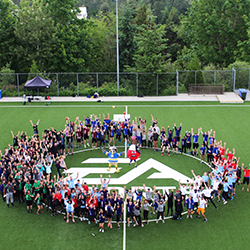 Thanks to their incredible support, we set a motionball Vancouver fundraising record! 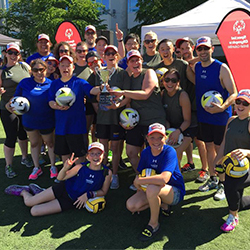 an Under Armour t-shirt, motionball hat, water, Pita Pit lunch, ticket to the Marathon of Sport after-party, fundraising incentives, and most importantly, a chance to play with the proud Special Olympics British Columbia athletes who motionball supports! For your company, this event is about team engagement, community building and meeting the cause on the ground. It’s also an incredibly rewarding day of fun. To learn more about Sponsorship Opportunities for the 2017 motionball Marathon of Sport Vancouver, please email Marsha at marsha@motionball.com.